EASTERN ROMAN EMPIRE. BASILISCUS AND MARCUS, AD 475-476. Gold solidus, 4.46 g., 20 mm, minted at Constantinople. Obv. DN BASILISI ET MARC P AVG, diademed, helmeted and cuirassed bust facing slightly right, carrying shield and spear. Rev. 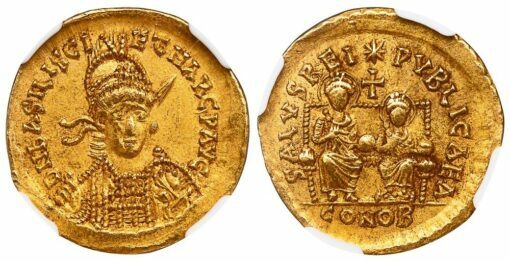 SALVS REI-PVBLICAE A, Basiliscus and Marcus enthroned, facing, each holding a mappa and globe, star and cross above, between them. 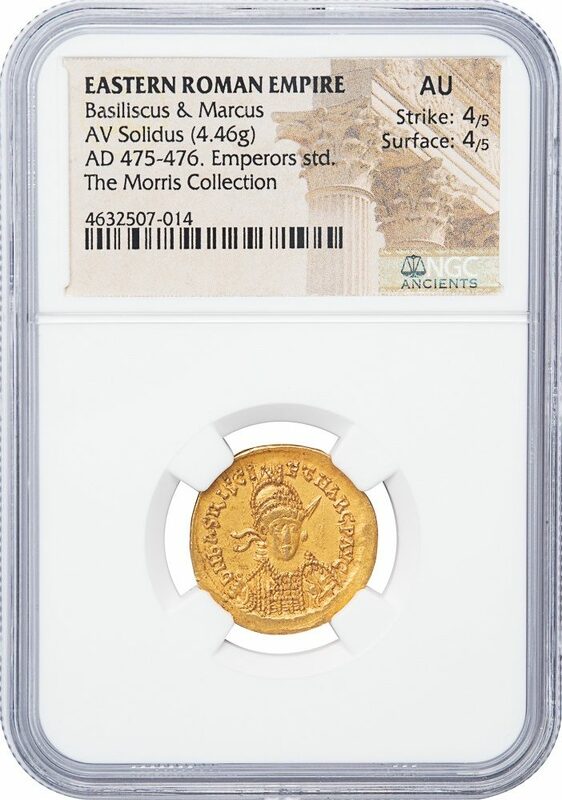 NGC graded AU, Strike 4/5, Surface 4/5, an interesting variety whose officina A seems otherwise unattested.